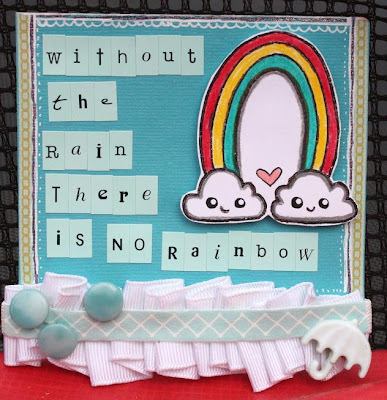 Stash Challenge #6 – RIBBONS AND RUBONS! and the NEWEST Odd Girl! So… we have some business to take care of, don’t we? A winner and our faves! 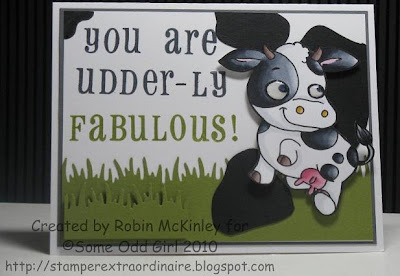 We had a total of 19 entries for our PUNNY CHALLENGE, with 6 of those participants using Some Odd Girl images, bringing the total ballots to 25 – it was SO much fun to see what you did with the challenge! It wasn’t always clear where the puns were in the submissions, but we enjoyed seeing them and we’re glad you all played along! Stephanie, please send a message indicating your two favorite images from SomeOddGirl.com to Kristy@SomeOddGirl.com and she’ll gladly send your downloads to you! CONGRATULATIONS! 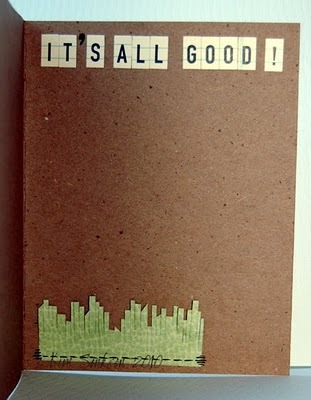 Ladies, please send a little note to Kristy@SomeOddGirl.com so she can hook you up properly! Congrats, and thank you both! NOW, let’s throw a new challenge atcha, and hope that this new release and these fun projects will inspire you to create! For this Stash Challenge (#6 already! ), I wanna see…. Kimmy‘s got this hot little number, using “Inchie“! Love that scrunchy ribbon flower! Kristy used “Buzzy” for this spritzy blingy fun little numbah! And please give a warm, crafty welcome to our NEWEST Odd Girl, Tanya! I have been crafting my whole life and obsessively scrapping since my youngest son was born five years ago. I live in Northern California with my amazing hubby of nearly 13 years, our four wonderful kiddos, dog and cat. I am a stay at home mom who also records voiceovers, often from my home studio, which doubles as my scrapbook space. 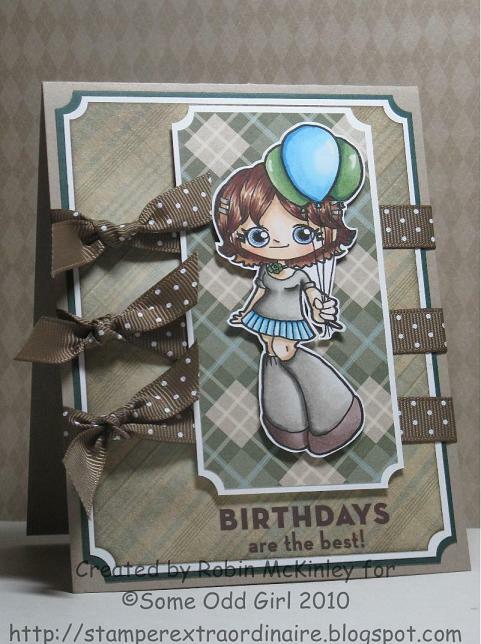 I love creating -whether it’s layouts, cards, cakes or Halloween costumes. I especially love layering ribbon & recycling in my projects. I am relatively new to digital stamping but fell in LOVE (at first site) with Some Odd Girl’s adorable images! I am thrilled to be on the Design Team!!! Thank you, Kristy!! And that, dear friends, is your cue to go make stuff! Remember that you don’t have to use Some Odd Girl images on your projects, but if you do (and there’s always a FREEBIE for the taking! ), you’ll get TWO entries into the challenge. 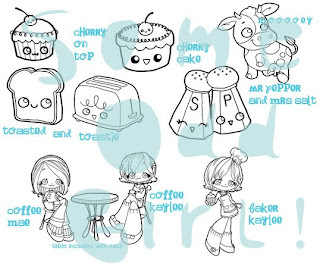 This time, there are two images of your choice up for grabs from SomeOddGirl.com! Link up your NEWLY-CREATED beauties below, be sure to link back to us on your post, and do it by Wednesday, August 25 at midnight EST for your chance to win! Announcing our new Odd Girls! First I want to thank everyone who applied!!! I had so many great entries that I was super humbled. I wanted to reply to every email but with so many it was impossible. my fabulous DT Coordinator. She is my partner in crime and I couldn’t dream of having a different person in her role. HI! i’m Leah the Orange, and i am SO excited and honoured to be doing this whole Some Odd Girl thing with my “Holmes”-slice, Kristy! our Odd Girls are amazing, and we hope you’ll have lots of fun with the images and the challenges. i’m a Canadian import, living in South Jersey (no, they don’t say “JOY-ZEE” here, but they do say “WOOD-ER” for water! ), because i married a crazy yank. i don’t miss the Canadian winters, but the SOUP here in the summertime is a little tough to bear.i’m not an artist, but i’m artsy. i’m not a musician, but i perform music. 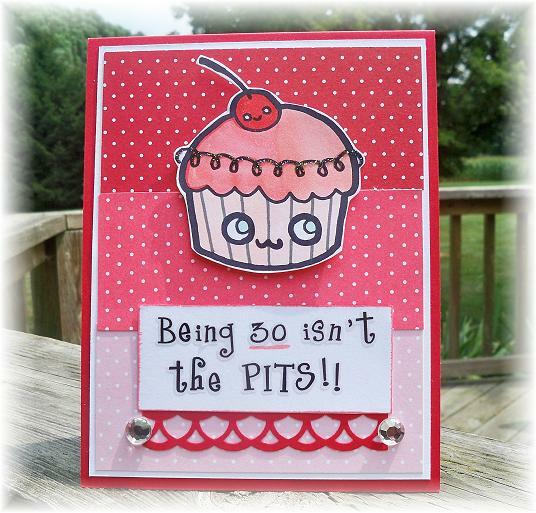 i’m not 36-ish, but i am. 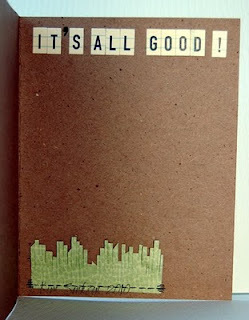 i’d prefer to get CRAFTY over just about everything else! i only know one language fluently, but i speak my own language. i am a foodie, an indie film snob, a cruise director, and a little random at times. Only fitting that i’m an Odd Girl, right? Kimmy will be in charge of all of our Blog Hops, our SNR and PCP Groups, and helping spread the Odd word. 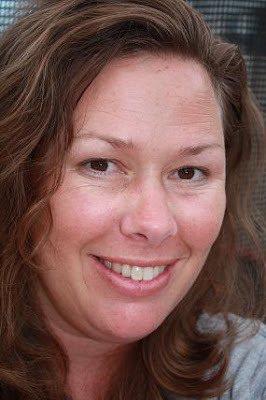 My name is Kim and having been born and bred in Hamburg/Germany, I moved to the United Kingdom in 1999 to live with my boyfriend of 11 years. Having always been a creative,crafty person I seriously started to scrap in December 2004 and my new obsession was born. Not one day goes by when I can not be found in my craft room – I draw inspiration just by keeping my eyes open. It can a be a skirt I see in a shop window, a broken bench,a photo, something funny someone said in the office…as long as I have my notepad with me and jot down ideas that come to my head, I am sure I will never run out of inspiration. Next let me introduce you to our Odd Girls! The first two are near and dear and are making a big comeback for their second term and we are thrilled to have them! So let’s get to know a lil about each of our Odd Girls and see their fabby projects! My name is Robin McKinley, and I live in Brampton, Ontario, Canada, and work downtown Toronto. 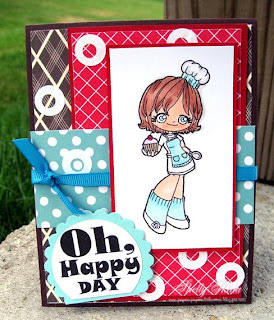 A little bit about me: well, I am obsessed with paper crafting – especially stamping! I love all things ink and paper, and I especially love colouring! I also really enjoy participating in online challenges! By day, I am a Reservations Supervisor at a prestigious Toronto hotel, and by night, I am a stamping machine. I also LOVE to read, and I love animals too. I routinely go to the gym to keep active, and I try to travel as much as possible. 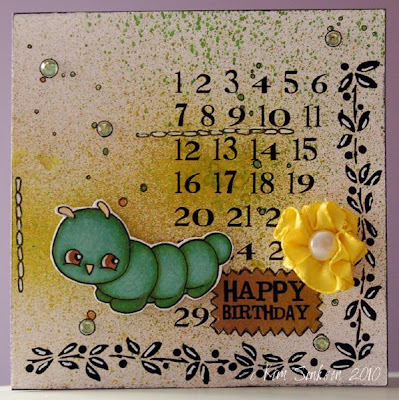 I have been papercrafting for about 3 years now, which started out as scrapbooking and now am mostly concentrated in stamping/cardmaking. I love to try new techniques and participate in challenges, and a good sketch is always my starting point for inspiration. Colouring with Copic markers is an area I am h aving fun exploring currently, and am hoping to become more proficient at. I’m a ‘mostly’ stay at home mom, working part time as a librarian, and keep very busy with my 2 children; 3 year old Jake and 1 year old Robin. 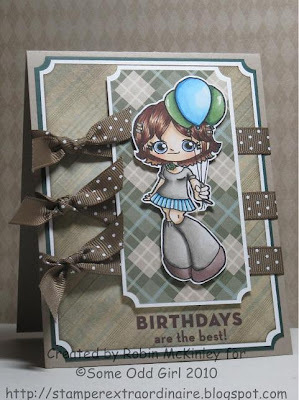 I have been paper crafting for 6 years and have loved every minute of it! Its an expression of who I am. I am a wife of a hard working husband, and mother to a very smart, very busy 3.5 year old who is going into preschool this year! So glad to be along as part of the team and am excited to see what’s next! Hi Robin F. here, I was born and raised in Ontario, Canada and now I find myself married to an Irish man and living in green, rainy Ireland! I worked as a Registered Nurse until my brood arrived- I am now at stay at home Mom to my daughters Clodagh 5, Ali 3, and son Caelan 1. I started scrap-booking and card-making after my Mom made me a scrapbook as a gift for my wedding and I fell in love with it. More recently I find myself in love with colouring in digital images and racking my brain for a clever sentiment to go along with them. I started colouring with chalks, then ProMarkers and I am now entering the world of copics! Greetings from the tiny island of Singapore! My name is Yvonne and I love to make stuff! 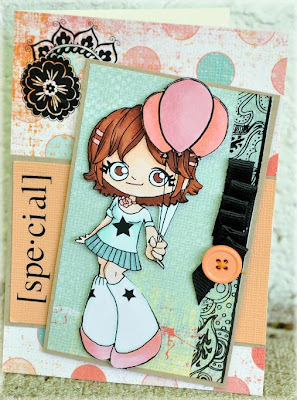 My projects are a mix of everything…scrapbook layouts, cards, mini albums and altered items. My style is eclectic, quirky, whimsical and fun and always involves some upcycling and colour! I’m a challenge blog junkie and try to play along whenever possible. 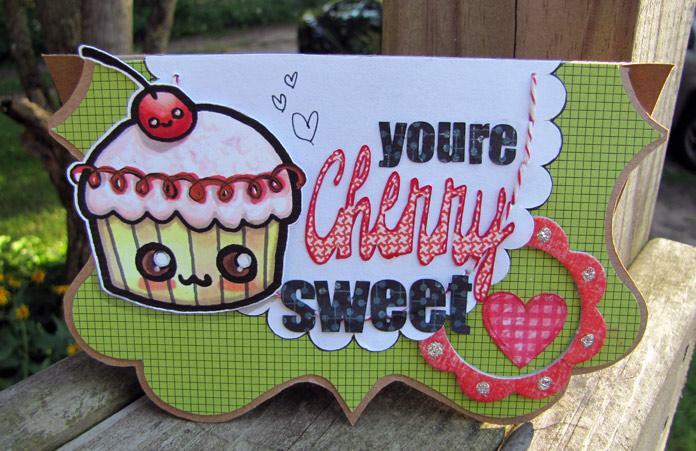 My cardmaking journey started in March 2009 in a bid to use up my scraps but has turned to a weekly love affair. Hello! My name is Melissa. I live in Lebanon, Tennessee. I am a stay at home mom to a beautiful 19 month old little girl. When she doesn’t keep me busy, I get away and enter the world of art. I love being creative in every way possible. I have been scrapbooking and paper crafting off and on for the past 6 years. Here within the past few months I have discovered digi stamps and copic markers. I would have to say I found a new hobby to love! Hello!!! I am Piali . I live in New Jersey with my wonderful husband , two adorable daughters and a little furry one. They keep my life busy. I’ve been paper crafting for just more than a year . I’m addicted to stamping and card making… I also love crocheting, beading and quilting. 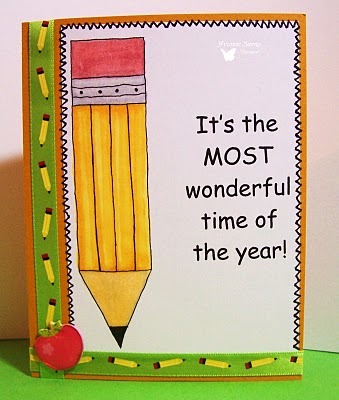 If possible I would love to spend my whole day stamping in my craft room. I like to try new techniques for paper crafting and take new challenges everyday. I’m currently on few design teams…and have the wonderful opportunity to BE inspired by all the talented crafters around me. I am super excited to be a part of Some Odd Girl DT. I love the gorgeous SOG images.Thank you Kristy for the wonderful opportunity. Hi everyone, my name is Angie Cortes. I live in northeast Ohio with my amazing husband of 13 years, who I met and married in Korea while we were both serving in the United States Army. We have two wonderful children Devin (12) and Alexis (10). I started scrapbooking soon after my son was born and loved it. 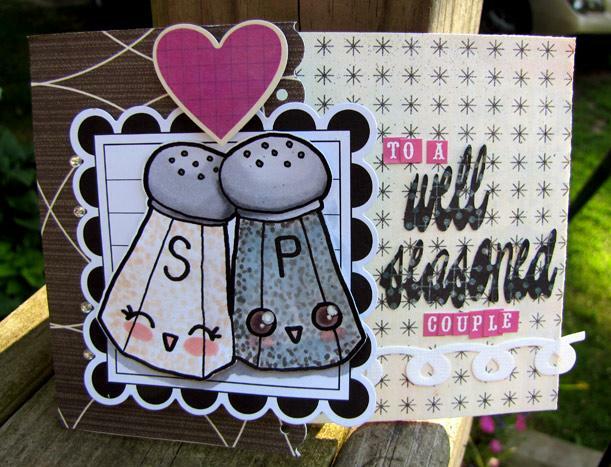 About two years ago, a good friend took me to a Stampin’ Up! 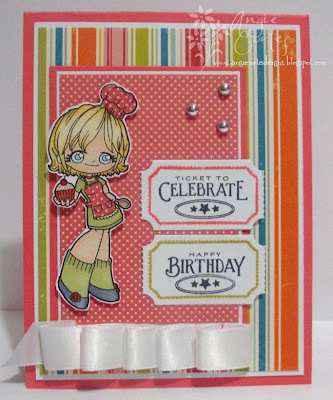 Workshop and I was instantly hooked on cardmaking. I really love clean and simple cards and all things digital! When I am not running my kids around to soccer, cheerleading and dance class, I like to relax with a good book. I am thrilled to be a member of the Some Odd Girl Design Team and I cannot wait to get to know my fellow Odd Girls!! Hi, my name is Andrea. I live in Florida with my husband of ten years and my two little men. My days are filled with taking care of my family and home…but at night you will find me tucked away in my craft room. (The only room in our house that is for girls only.) I have been in love with paper crafting for ten years, but really only started about six years ago after welcoming our first son home. There are two things that define me as a crafter. First, I keep every piece of scrap paper, felt, ribbon, fabric, and much more (you can always find a use for it). Second, I love trying new techniques and color combinations. I have fallen head over heals for digital images recently and am excited to be a part of this team! Welcome to our new Odd Girls!!! I am super thrilled with the team that has come together! This is going to be a fabby term! If you’d like to check out each of our new Odd Girls’ blogs (and I totally suggest that you do so b/c WOWZERS!) click on their gorgeous faces on the sidebar to take you there. They are so full of inspiration that you will simply HAVE TO craft afterwards! Once again thank you so much to everyone who applied! BTW, if you are looking for our newsletter, it will be out in the next couple days. Vacation puts ya behind 🙂 If you are asking “what newsletter?? ?” then you are missin out! Jump over to the Some Odd Girl homepage and sign up! 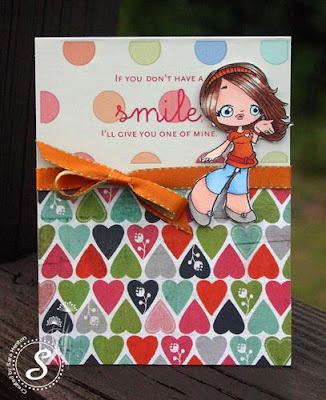 And don’t forget, there’s a brand new FREEBIE up for grabs for the month of August! Hope you likey! Good day all you Odd ones out there – our Uber-Oddy, Kristy is hobnobbing with the rich and famous at CHA, so I (Kimmy!) stepped in to bring you this week’s PUNNY CHALLENGE. But, before we get to the nitty gritty, you wanna know our favorites from Stash Challenge #5, right? It was fun to see that most of you seemed to favor the summery and bright colors in connection with the Stripes & Spots and the BIG title challenge. More and more of you also enter using our wonderful Digis, which is SO encouraging and brings huge smiles to our ODD faces. Let’s see, we had 19 FANTABULATIOUS (that’s Leah‘s word) entrants and 16 used Some Odd Girl images, bumping our number up to 35 – yay!! Don’t you all agree that “Fairy Fly Away Mae” looks fantastic in green? And that simple sentiment framed by the half-scalloped circle – perfect! So Mel, please send an email to Kristy@SomeOddGirl.com and let her know which one image you’d like from SomeOddGirl.com and she’ll send you the download info for your selection and for Hula Kaylee! But that is not all…oh no, Leah and I would like to share our favorites from this round! and we all agree that “Dainty Kaylee” looks BEAUTIFUL in pale aqua! 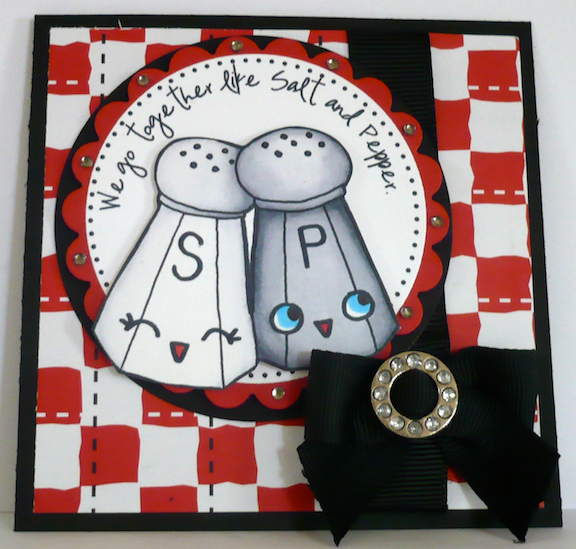 We loved how you tackled this challenge and inspired us with your creations. Please email Kristy@SomeOddGirl.com and she will happily apply your points to your accounts and send you your blinkies! Enough talk – let’s see what we’ve got cookin’ for you all this week! I particularly loved this challenge as Kristy asked us all to come up with our own “punny” sentiments! 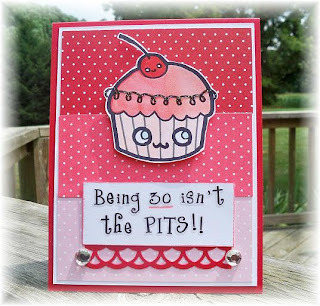 It is no secret that I adore punny sentiments and, in all honesty, the brand new release is pretty much screaming to be used in a fun way, no? things that make you go mmmmmmmmmmmmhhhh!